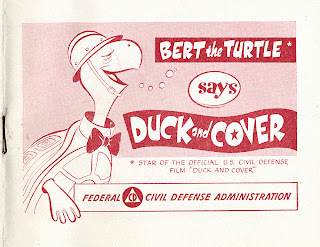 Duck and Cover ~ Everyone knows about the classic civil defense film from 1951, but how many of us have actually seen it? I admit that while I have seen huge chunks of this thirty-two minute documentary, I don't think I had seen it in its entirety until recently. 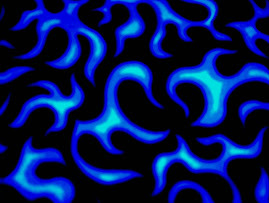 At the beginning of the Cold War, our greatest fear was nuclear attack from the Russians. This was a short subject shown in theaters to teach folks what to do in case the unthinkable happened - they dropped The Atomic Bomb. Talk about hysteria! They'd never do anything like today, it might upset someone's sensibilities. Thank goodness for political correctness. Sarcasm mode off. 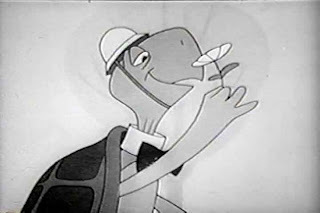 It's got some great animation with Bert the Turtle, a very cautious (and very hysterically paranoid) fellow very good at ducking and covering. Very good at it, because, well, he's a turtle. The thrust is if you heard the air raid sirens, you should duck and cover. 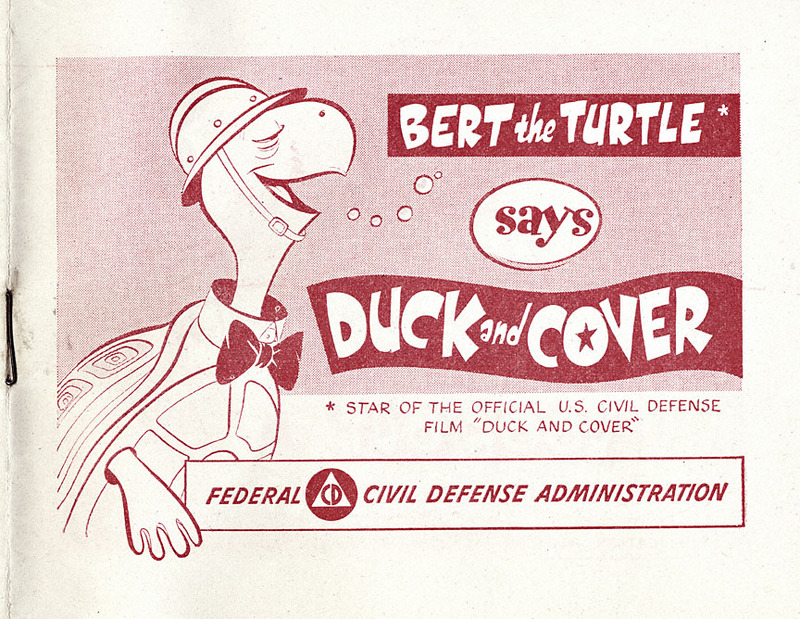 This film urged school kids to crawl under their desks and cover their heads in case of attack. We did know what atomic bombs were capable of, right? That's not going to keep anyone from being vaporized. This instructional film is definitely a product of its time, so filled with paranoia and hysteria that it probably was a self-fulfilling prophecy, causing as much paranoia and hysteria as it itself was filled with. Probably the scariest thing for me was how scared the kids in this film looked. Both an entertaining and frightening time capsule. loved the article and yes I remember the drill. I was eleven years old when I watched, without my parents being aware that I was,a documentary on what really happens when a bomb drops. I lost all faith in authority that very day.